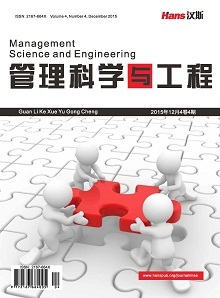 Recall of defective consumer goods is an important supervising and management function, so recall effect evaluation of defective consumer goods becomes an important research subject. This paper summarized and analyzed the domestic research results of recall effect evaluation for defective consumer goods. This paper reviewed the evaluation standard of recall effect, the value evaluation of enterprises’ concern, consumers’ recall loss and the recall effect evaluation of government perspective, and pointed out the advantages and disadvantages of these existing literatures. Finally, this paper presented the design principles of the recall effectiveness evaluation. 郑国辉. 缺陷汽车产品召回机制的研究[J]. 同济大学学报(自然科学版), 2006, 9(10): 1350-1354. 董春华. 中美产品缺陷法律制度比较研究[M]. 北京: 法律出版社, 2010. 金帅. 我国缺陷产品召回法律制度研究[D]: [硕士学位论文]. 长春: 长春工业大学, 2018. 金文静. 缺陷产品召回制度中存在的问题及对策[J]. 中国市场监管研究, 2018(8): 35-37. 尹彦, 刘红喜, 张晓瑞, 冯永琴. 缺陷产品召回标准体系框架研究[J]. 标准科学, 2015(5): 12-14, 38. 朱祝何. 2016年我国共召回缺陷消费品230次617余万件[EB/OL]. 中国质量新闻网. http://www.cqn.com.cn/ms/content/2016-12/26/content_3765991.htm, 2016-12-26. 施京京. 2017年我国共召回缺陷消费品2702.6万件[EB/OL]. 中国质量新闻网. http://www.cqn.com.cn/zgzljsjd/content/2018-01/29/content_5545945.htm, 2018-01-29. 刘景安. 汽车制造企业缺陷产品召回管理模型研究[D]: [硕士学位论文]. 上海: 同济大学, 2009. 马华, 杨华. 汽车召回事件的模糊综合评价研究[J]. 科技传播, 2010(17): 98, 111. 高芳, 刘泉宏, 龚迪迪. 企业产品召回动因研究——兼论对企业绩效的影响[J]. 财会通讯, 2016(32): 44-48. 杨金晶. 考虑消费者损失的企业产品召回决策研究[D]: [硕士学位论文]. 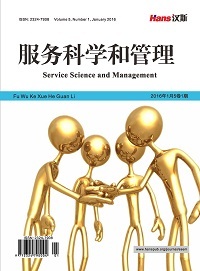 合肥: 中国科学技术大学, 2014. 徐乾程, 钱存华, 张天龙. 我国缺陷消费品召回效果评价指标体系构建研究[J]. 广东经济, 2017(4): 181-182. 钱存华, 徐乾程, 张天龙. 基于AHP和FCE的缺陷消费品召回效果评价与应用[J]. 财会月刊, 2017(30): 59-63.